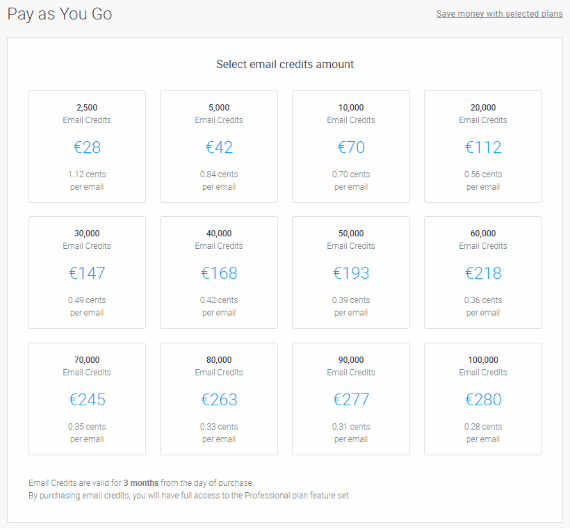 Subscription Plan - Pricing: What Kind Of Pricing Plan Should I Choose? We offer flexible monthly plan and pay-as-you-go (email credits) plan. Each of them has its advantages and limitations. In this article, we will look at each of these plans more closely. 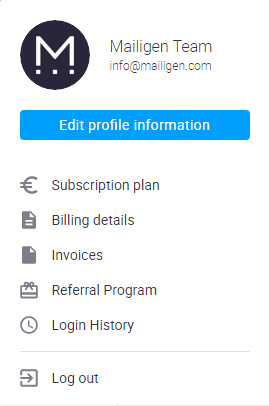 To access these plans you need to go to Subscription plan section which is located in the Profile Management drop-down. For experienced marketers who want full control. Use advanced automation, testing and team collaboration features. Email Credits are valid for 12 months from the day of purchase. By purchasing email credits, you will have full access to the All-in-one plan feature set. All-in-one plan feature set is listed above. You can purchase selected amounts of credits and you can choose which suits your need best.